For me I think we go 2 Edges in FA. I think Robert Quinn coming here is very likely. Too many connections and is a typical buy low hoping to get high production type Macc signing. I think we go after another edge too. Bigger names for the other spot like Barr, Flowers, Fowler Jr, etc. and any other big names that might hit FA (although unlikely). Leaving edge not a HUGE need. And I guess that was point of saying I think we trade back even if the value is less. Trust me I wouldn't be pissed off at all if we drafted Allen or Bosa. But I think as far as team building in concerned... this roster would be far better IMO if we trade back and grab a 2nd and 3rd (and more next draft). Hypothetically lets say we draft Jawan Taylor with the trade back (sub in an OL you like Williams, Little or Dillard). And with the 2nd we grab lets say AJ Brown (sub in any WR you like here (Harmon, Brown, Campbell, etc). And then still have an additional 3rd this year (3 total 3rd Rounders) and maybe an additional 1st next year as well. For me adding Taylor, Brown a 3rd and an additional 1st next year is far more valuable then just adding Bosa. That's just my opinion though. Let's unleash something like that next year and if Leo is still a 5 sack guy we'll know his worth. No more well he's the only good player so they double him talk. It would be put up or shut up time and even then I wouldn't want to just not sign him back. However, his next contract would reflect him for how he performs. Playing out the final year and resigning him are two different things. Unfortunately he was drafted significantly higher than his production and impact has shown. His agent is going to want a significantly larger salary than his current (maybe even projected) skill level demands. 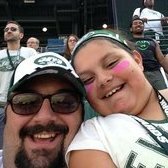 The jets will resign Williams which they should. For the people that want to move beyond him are crazy they guy is not even 25 yet. He has great years ahead. You will be the same people complaining that hes not worth the money mid-season. Guarantee it. Considering he’s set to make over $14M in 2019, it would make a lot of sense to try and extend him this offseason if they are able to sign him at a price point below market value. While I don’t think Williams is going to turn into Aaron Donald (or Fletcher Cox even) just because of a change in scheme, I do expect him to have a career year. I would be stunned if he doesn’t finish top 10 at his position in pressures next season (assuming he stays healthy).There are people across the league that feel like the Jets have misused Leo his entire career. Would not be surprised to see him finish next season with 7-8 sacks and 60+ pressures. Beyond the change from a 2-gap system to a 1-gap system, Gregg Williams uses a lot more stunts/twists then Bowles ever did. I mean I hope he does, but I have no idea why people keep saying this like it's an assured thing. Not every player keeps getting better and better until they're 29. Some peak immediately and they are who they are from the beginning to the end of their career. Edit: Remember Mario Williams? He pretty peaked as a player in his 2nd season and never became much better after that. Obviously that was a very good peak, but you can't assume players are just going to keep trending up. Quinn is a stop gap and will be 29. He's got maybe 1-2 two good years of football left in him maybe? If you can pair a FA that is 25-26 (Flowers/Barr) with a young elite edge at say 21-22 (Bosa/Allen) with Leo who is 25 you can set you DL up for the next 4-5 years and not have to worry. I would still trade down if the value is right but if just to add a 2nd rounder I wouldn't pass on a future All-pro pass rusher for the possibility of AJ Brown and a mediocre OT prospect. Would much rather sign Sanu as a stop gap WR for 1-2 seasons then sign Quinn and pass on a the next great pass rusher. All we have been doing is begging for a Von Miller or a Clowney type edge and now we are all so quick to trade it away when one could be staring us in the face. Love the idea. Lock him in long term for 12M would be awesome. Give him a bit more guaranteed so he'd feel comfortable with the lower annual number. Leo regularly finishes top 10 in both pressures and stops amongst interior defensive lineman. I continue to be dumbfounded by the section of Jet fans that think they should move him for an late 2nd round pick. If we were staying in a 3-4 i was willing to field offers for him for a 1st. Switching to a 4-3... I want him here. I think his production will increase dramatically. Especially if we get a couple of edges. I want him with the Jets in a 4-3. I think a guy like Brandon Graham would help him a ton. Graham gets tons of pressures around the corner but rarely gets home on sacks. He does however force QB's to step up in the pocket which i think has helped Fletcher Cox get his sacks. I agree 100% which is why I started this topic. The Jets should lock him up now at a great deal because his break out year is coming this year. Really starting to like the idea of staying at 3 and getting Quinnen Williams if he's there. Both Williams in the middle adding guys like Flowers and Barr... Our DL would be totally revamped and most importantly young.